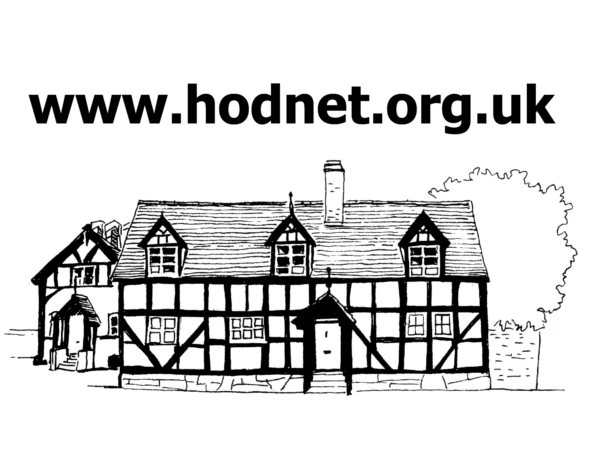 Prior to the 1939/45 war, there was no cricket club in Hodnet. Players did not have to go far for a game as there were three established clubs within a three mile radius, namely Peplow, Citadel and Harcourt. Of the three, only Harcourt still exists. Peplow Hall closed due to the outbreak of war. Citadel, whose ground was on farmland at Weston-under-Redcastle fell victim to the outbreak of foot and mouth disease in the early sixties. One of the players who turned out for Peplow, was the former Rector of Hodnet, the Rev. Jack Parsons. Mr. Parsons was a county cricketer with Warwickshire. The Hodnet and Peplow Cricket Club was formed in 1946, when a group of enthusiasts met with the object of establishing a club in the village. A suitable ground was acquired, thanks to the generosity of the Brig. Heber-Percy. The playing area was fenced off and a square laid. Matches were soon under way. Playing conditions were far from ideal and batting was a hazardous occupation for some years until the pitch settled. Fortunately for the new club there had been an R.A.F. base on the site during the war and the brick buildings left behind were converted into changing rooms, tea room and equipment store. The two main buildings are still in use and it must be unique in cricket circles for a club to have an old guardroom as a pavilion. In the late forties and throughout the fifties the club prospered and established a full fixture list. In the mid fifties the club had enough players to field two Saturday sides. The only “non friendly” games played were in the local knock-out competitions in which the club had only moderate success. The only achievement of note was reaching the final of the Market Dray ton Knock-Out in 1953. During the sixties and seventies the club continued to provide facilities for those wishing to play the game of cricket. Throughout this period fortunes fluctuated. During the bad times only the enthusiasm of a small number of members prevented the club from folding. Few youngsters were taking up the game, the club had to rely on the support of players from further afield. 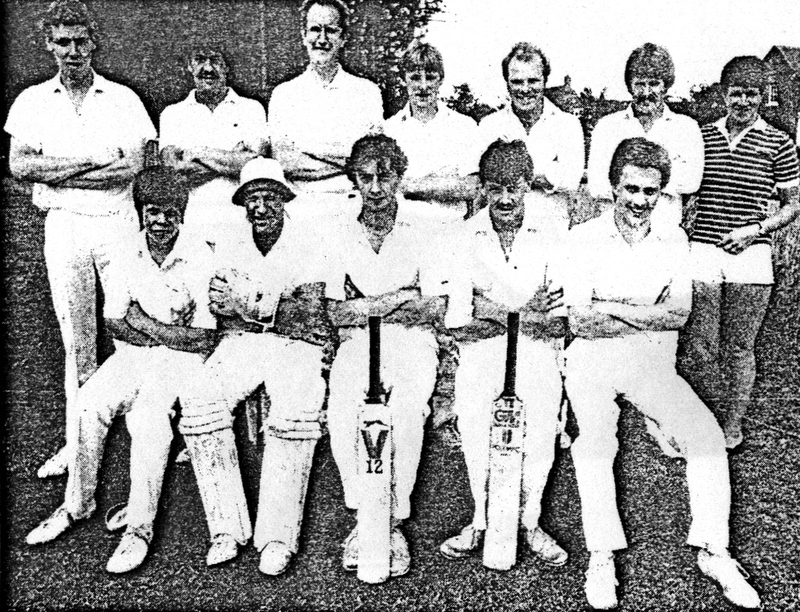 From left (back row): Dave Tunks, Mike Pierce, Peter Mitchell, Bill France, Roy Topham, Barry Managh and scorer Barbara Prescott; (front): Russell Thomas, Dave Thomas, Stuart France, Dave Southerton and Neil Humphries. b. Oxford, 30 May 1890; d. Plymouth, Devon, 2 February 1981. Educated at Bablake School Coventry. Debut 1910 v Derby., Edgbaston. 313 matches for Warwickshire 1910-34 (professional 1910-14; 1924-28; amateur 1919-23; 1929-34 – capped c 1911). Benefit (£881) 1926. Highest score: W 225 v Glam., Edgbaston 1927. Best bowling: W 4-13 v Lancs., Old Trafford 1925. 1000 runs'(8), 1671 (50.63) in 1927 best. 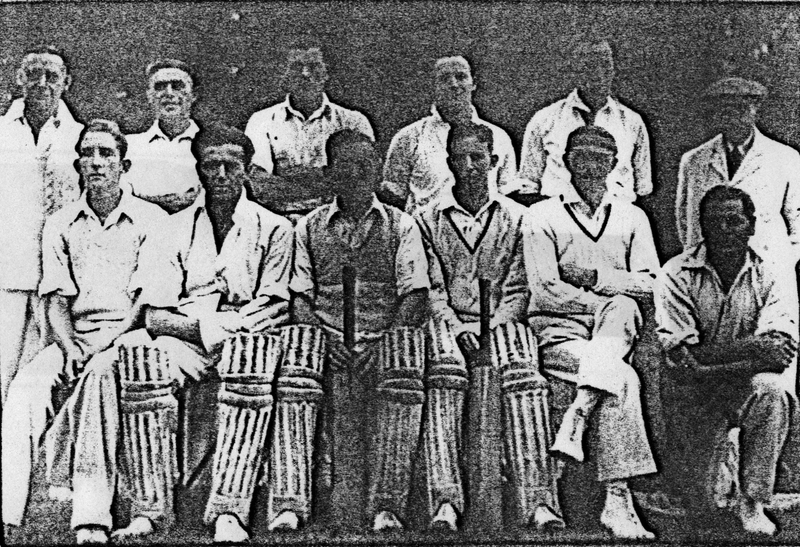 Played for Europeans in India 1919-20 to 1921-22; figures of 7-41 (13-115 match) at Madras 1919-20. 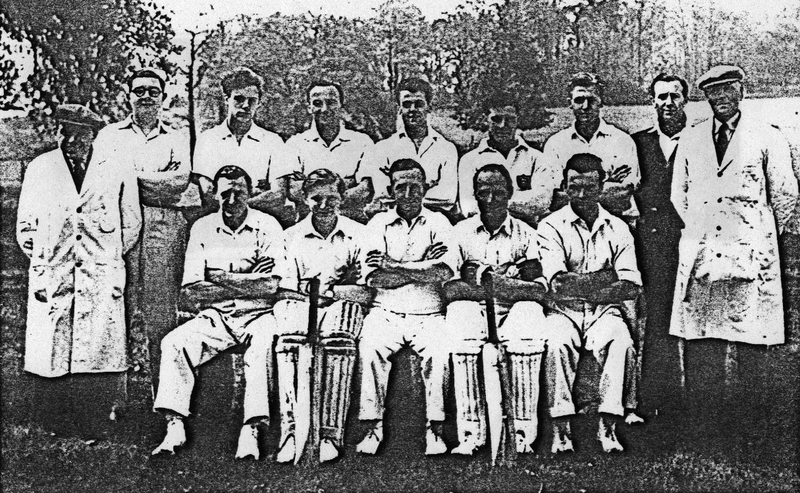 Tour, MCC to India 1926-27 – scored 1289 runs (49.57). Full first-class record: 17969 runs (35.72); 38 centuries; 83 wickets (28.97). Ordained Church of England deacon 1929, priest in 1930; the only professional cricketer to become a parson.